Oh yeah, you are welcome! Who is not odd? Most people wear a mask, I think and over time forget the difference between the mask and reality. It is the acceptance of 'being odd' that makes one special. Exactly, I agree. Thanks for reading. What a poetic definition of Odd.. :) Loved it!! If this is being odd, then it's good to be odd :-) Lovely rhyming. God knows how you keep churning out such gems time and again !!! Everyone should be odd (though that would make it even)...then the world would be a better place. I agree. That's the only way the world can ever be even. 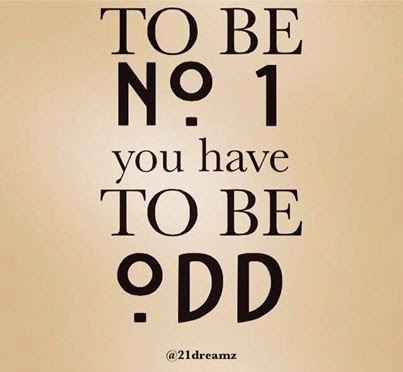 Everyone must be odd, then...the world would be a better place ! Good one !